According to customer care executive tomorrow we ll received MR updates.. its already start rolling out to some of the users..
Good news! Thank you for the update! Hope the customer support makes sense this time. Thanks for the news anyways. Did they say what new bugs we'll get? to us now.. maintenance update is lot more important than.. security patches. hope HMD can arrange periodically to solve issues. Speak only for yourself. Security Patches are very important to me, as much as MR. I highly doubt. Their claim of "already rolling out to some user" is completely false. HMD updates always roll out either to all users or no one. They never do staged rollouts. But lets hope for the best. There is an MR update leaked internally so we can defenitely expect an official release soon. I think with 1 month delay of security patch the phone will be just fine but without fixed bugs it will be nightmare. Yes, I totally agree to you. Because I have a 3 & half year old phone which runs on Android 6. Talking about security patch it is on october 2016. You know what, that phone still runs perfectly fine... The reason is; it is not up to date but at least it doesn't have a ton of bugs. We have to admit that HMD is NOT DOING WELL when it comes to software testing & optimisations. Every single time they update the phone it introduces new bugs. The whole UI stutters every now and then. One plus releases MRs & carefully listens to what their users need. HMDs' customer support executive here in india always sounds like a high school drop out who got a job somehow. They are just so good at speaking but they barely ever sound like a knowledgeable tech person. For them solution to every problem in the phone is a soft reset & "Install as few apps as possible". 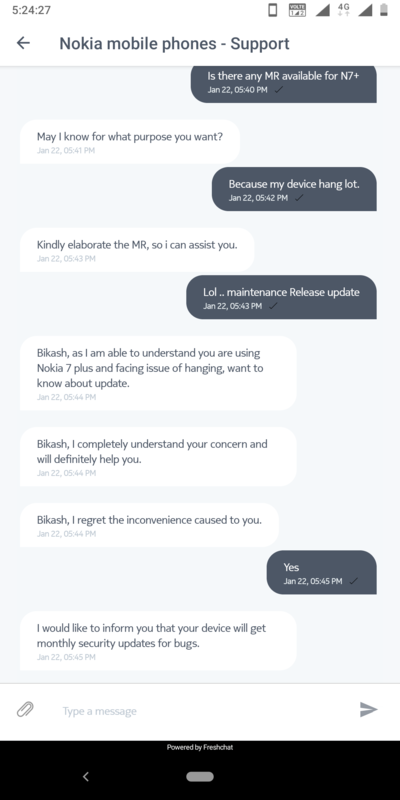 HMD customer support is outsourced in india and its one of the most pathetic support i have encountered. Even their service center is worst. These phones are only selling because of brand name NOKIA and android one. not to blame anyone....its HMD itself as i always told that....HMD was trying to flood the market with lot of same type of devices. 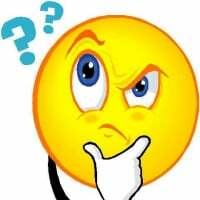 as u knw after releasing 6.1 they released 6.1 plus then 7.1 keeping hardware same. Just to show HMD not behing in edged glass technology they released 8 sirocco & now 8.1. look at each user...none of them is happy....as its too tough to maintain these huge bracket of devices. and by business policy they released AI technology in 7.1 which has SD636. . n in spite of having SD660 n SD835 7 plus & sirocco didnt get that. Moral of the story HMD is confused itself & its not so easy to handle a brand NOKIA so easily. In a rush to release new devices , and regular software updates , they are loosing upon the software quality. All the devices have some or the other bug. They are unable to keep up the same old NOKIA promise of quality. But i still appreciate HMD's commitment towards regular security patches. @vibhor totally agree. The 2019 is gonna be more tough to us as new devices are gonna launched in MWC & naturally focus will be shifted. It should not matter much to 7 plus users if the upcoming MR update fixes most of the issues. Any device needs at least 3-5 months to be stable enough after a major software rollout. Since 7 plus is PIE and its been 4 months now , we can expect next unstability or a pool of bugs with the next android version (Q) rollout , which is going to be 8-10 months from now. Until then the regular security patches will be released without delays. Once again , customer care has proved themselves to be non trustworthy. No update released today. just an instance. .flip ur phone in landscape mode when auto rotation is on.. now is your multi-tasking & app switch working normally via the new gestures.!? are u getting dark navigation bar while dark theme is selected in messages app.!? I even dnt have the battery drain issue. I face only navigation bar color issue. There are many users who are facing other issues. 22nd January I asked them about MR.. see their response. Who told you that they will release MR tomorrow? 26th January when I called their told free number 1800 1028 169 then their executive told me about bug fixing MR already rolled out to some of users bese on IMEI. And we also get within a day or two. 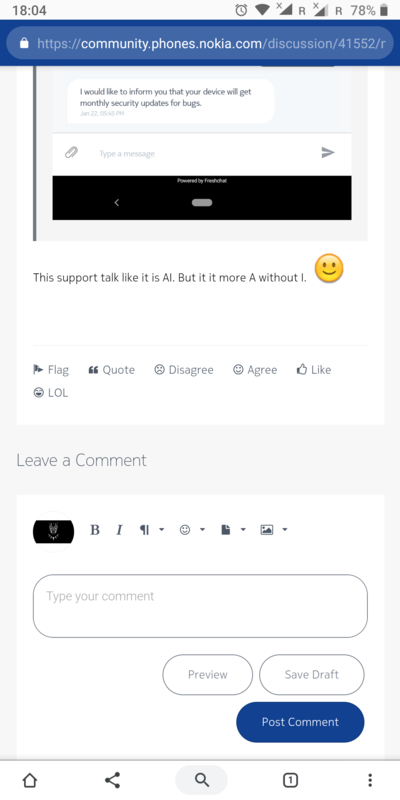 This support talk like it is AI. But it it more A without I.
when manual update was available & they told the same....a update will definitely be kicked out...but its tough to tell exact date. Im attaching a screenshot here. I don't use the traditional navbar. I prefer gesture navigation with navbar hidden completely. So, the multitasking issue which you are referring to isn't occuring on my Device. The apps are switching normally even when in landscape mode and auto rotation is on.